The perfect web design project to be involved in, during the Wanaka winter. 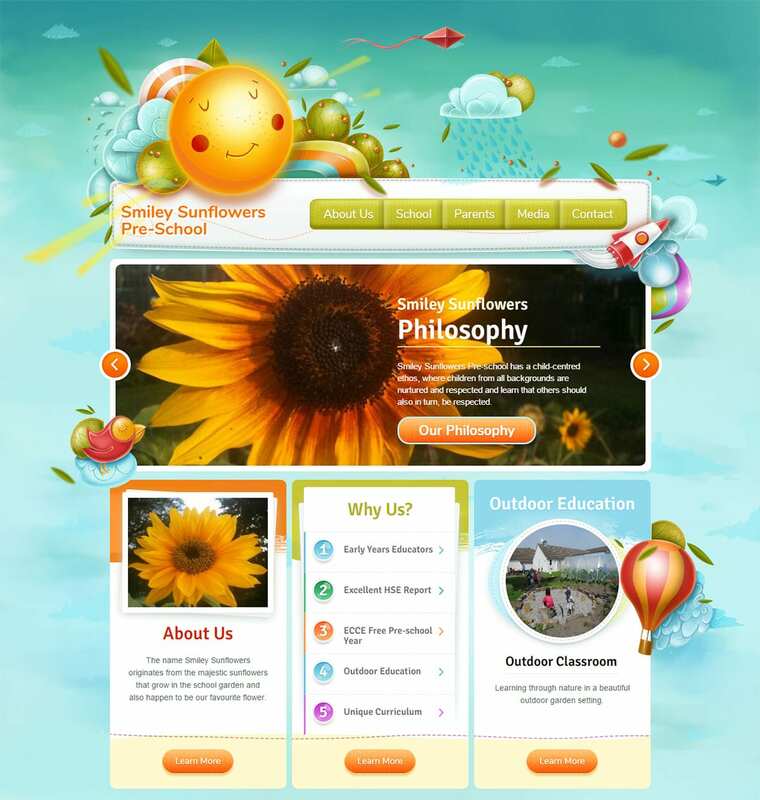 You can’t help but smile at this pre-schools website branding, design and caring philosophy. Yes, we had a great time on this project! Smiley Sunflowers Pre-School, an Irish based children’s education centre, is a steadily growing business, eager to become involved with more local parents and families. Together, we’ve developed a website that provides all of the information and answers to parents questions about the school, while carrying across their positive and caring approach to their students.